MOTIVATED SELLER! 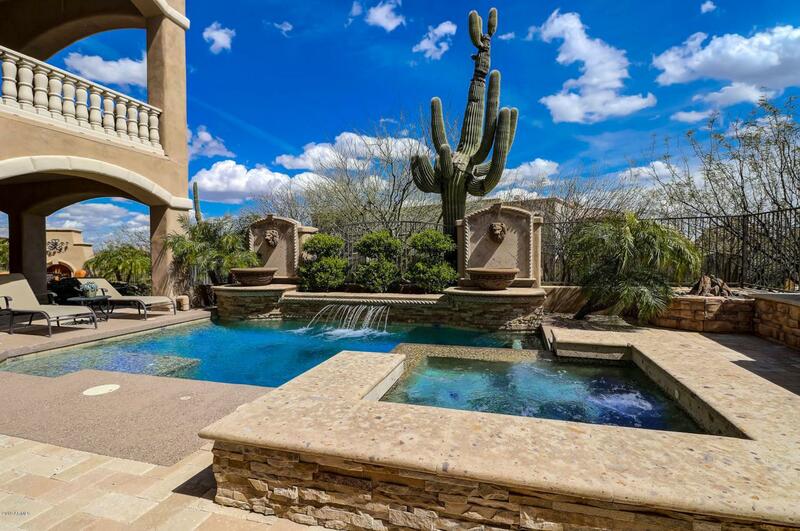 Tucked away in a private cul-de-sac of guard gated Troon Village, this 5,000 plus square foot home brings luxury and views to the fore front. 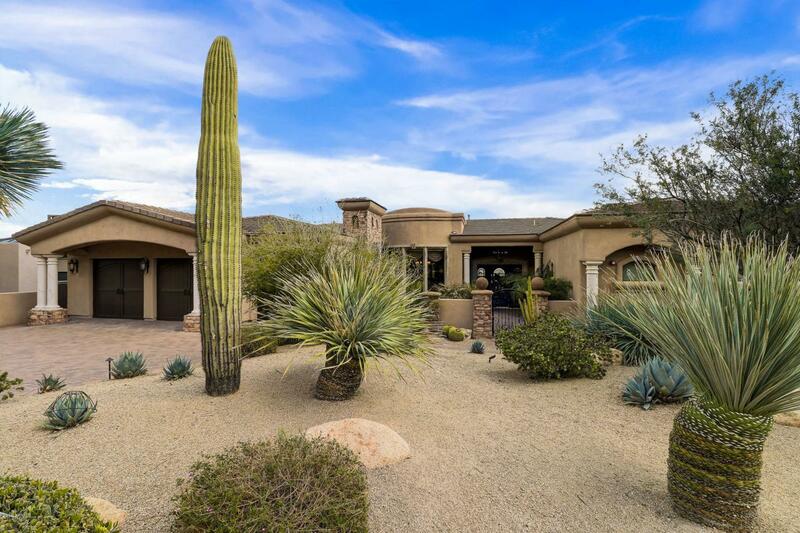 The panoramic views from the front and rear include Troon Mountain, Four Peaks, and the McDowell Mt. Range. 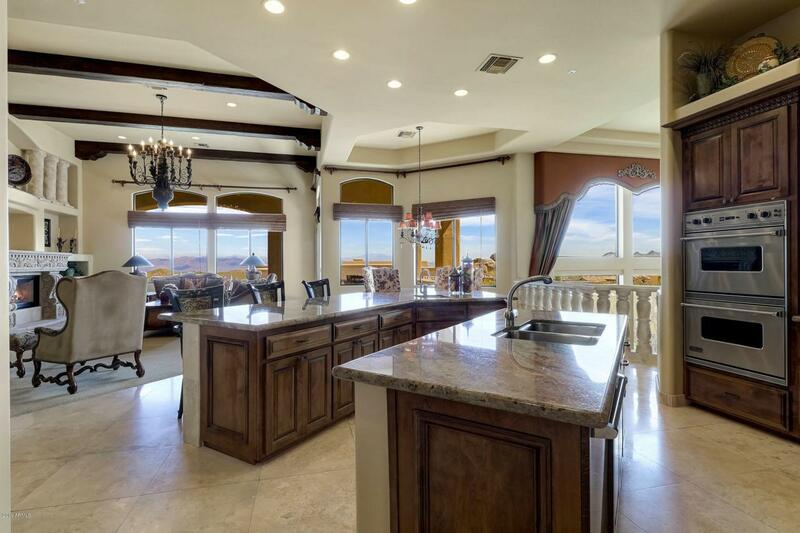 Luxury abounds inside the home with wood beam ceilings, polished travertine floors, five fireplaces, coved ceilings, granite counters, designer paint, and balcony dining to take in the views. 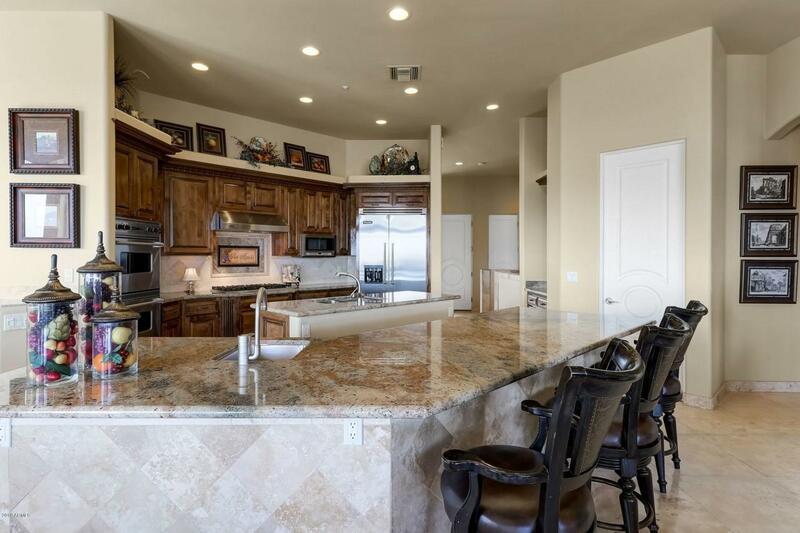 The kitchen, complete with double islands, stainless steel appliances, and beautiful hardwood cabinetry, opens to the family room and breakfast area for an open and spacious feel. Most furnishing and accessories available by Separate Bill of Sale.